WTF? Guess it’s not a manual? So apparently driving with no shoes in Virginia (and a few other select states) is illegal. 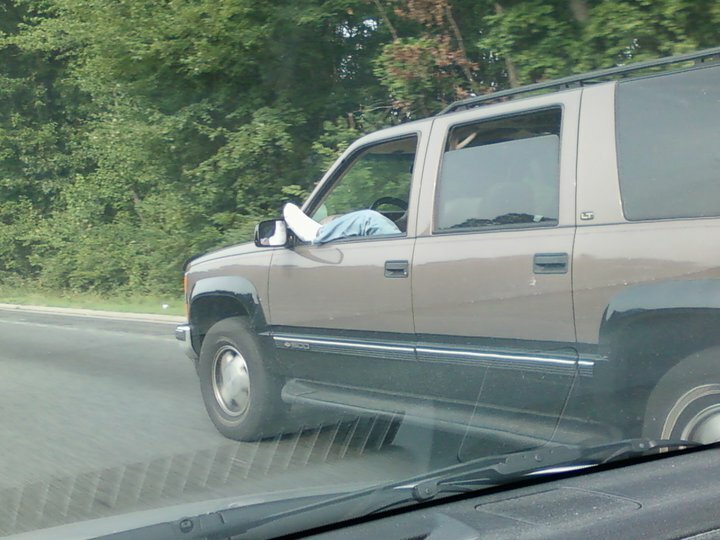 I wonder if they’d ticket this guy for lack of shoe, reckless driving, obstructing his mirror…? Your guess is as good as mine.